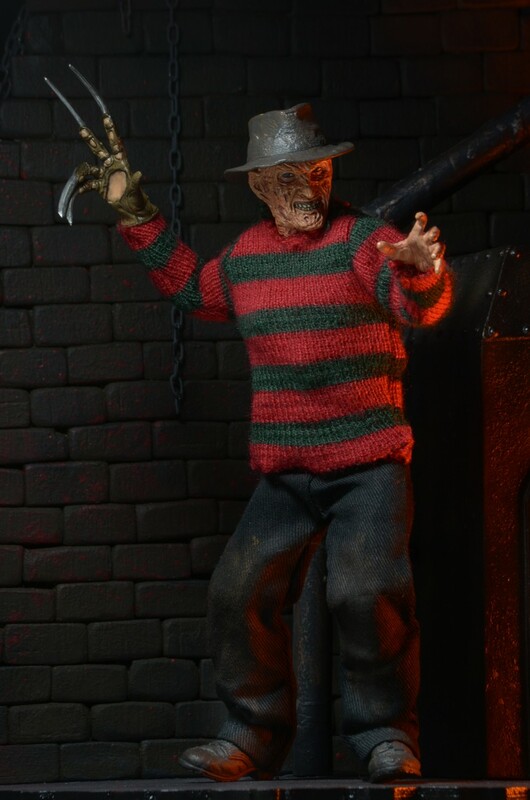 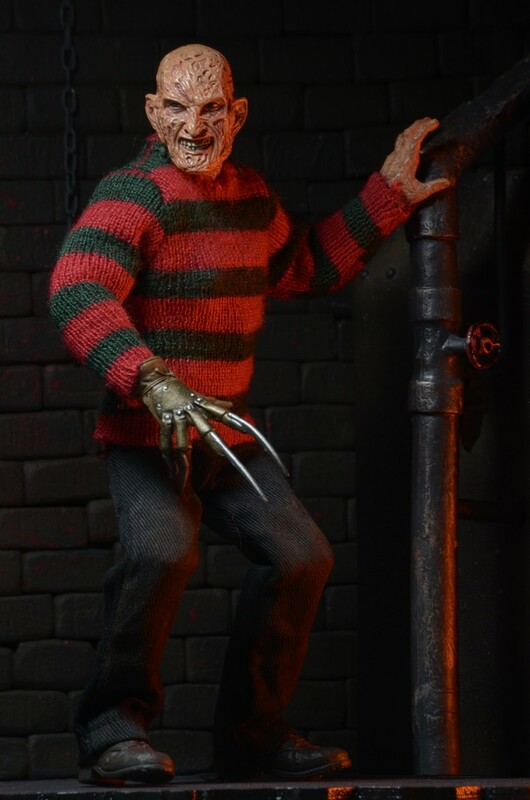 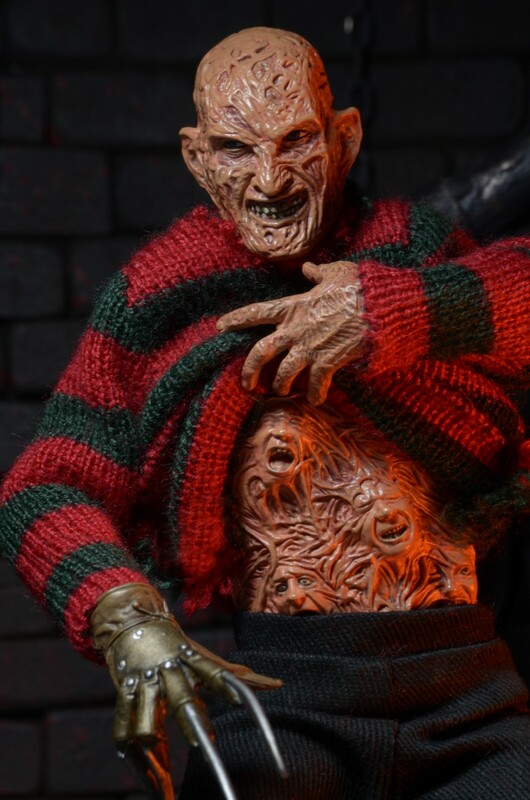 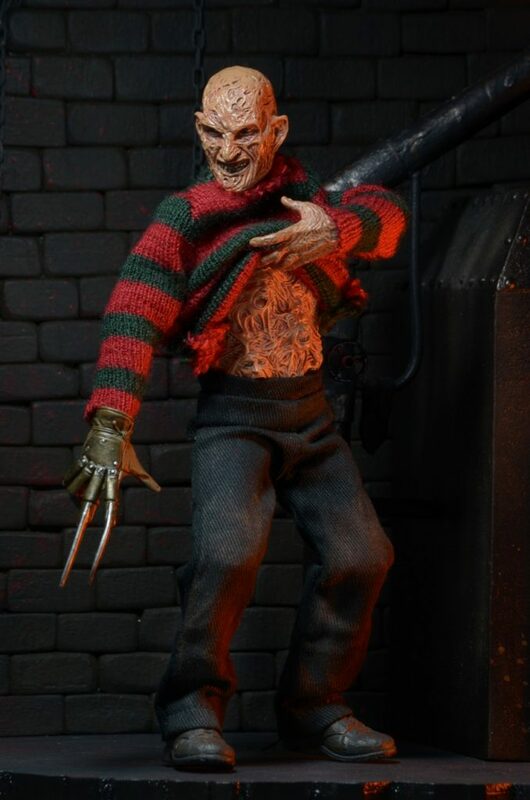 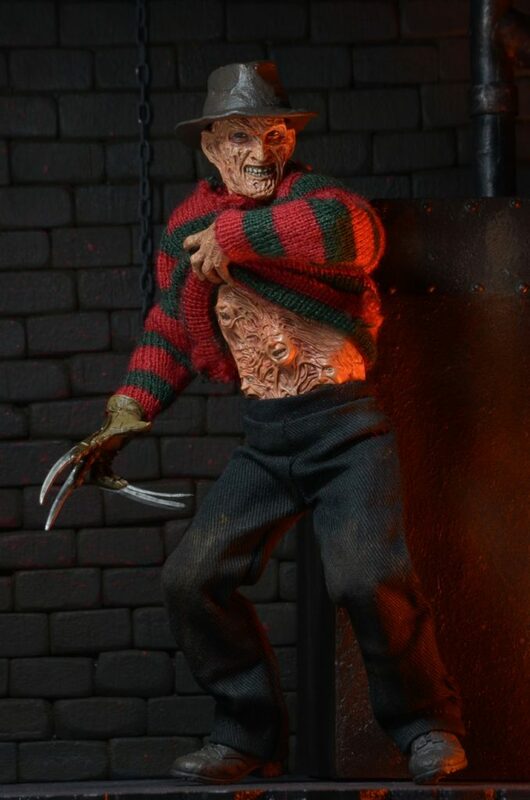 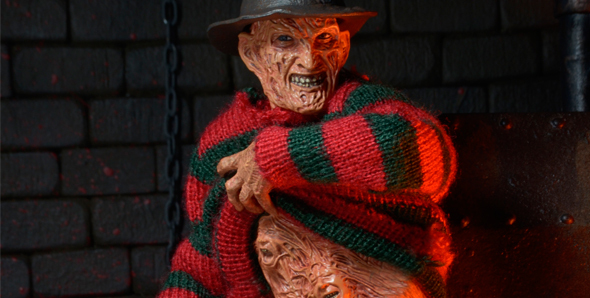 Because the Nightmare on Elm Street: Dream Warriors retro clothed Freddy will soon be shipping to retail. 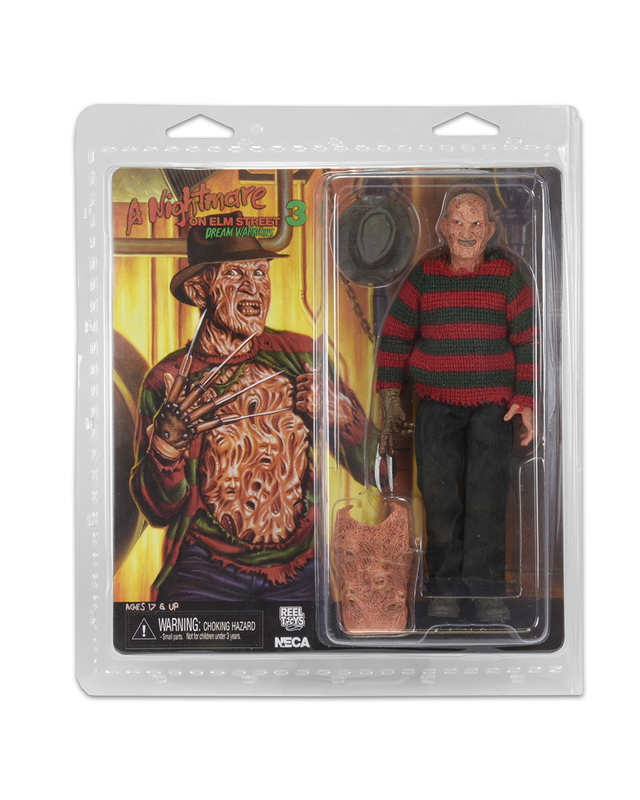 He’ll be appearing on shelves (and in your dreams) in the coming weeks, so prepare yourself with some new photos and packaging shots. 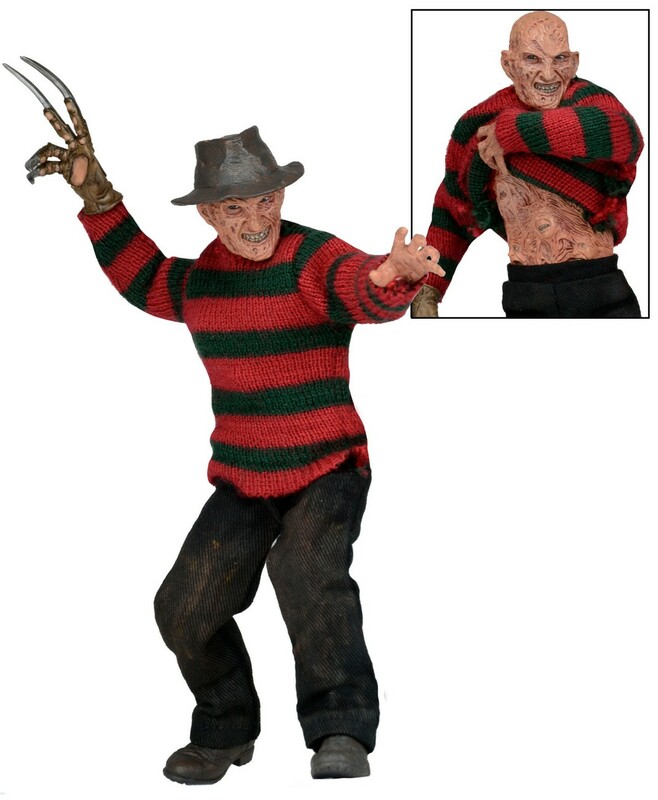 Freddy stands 8” tall and is dressed in fabric clothing similar to the iconic toy lines of the 1970s. 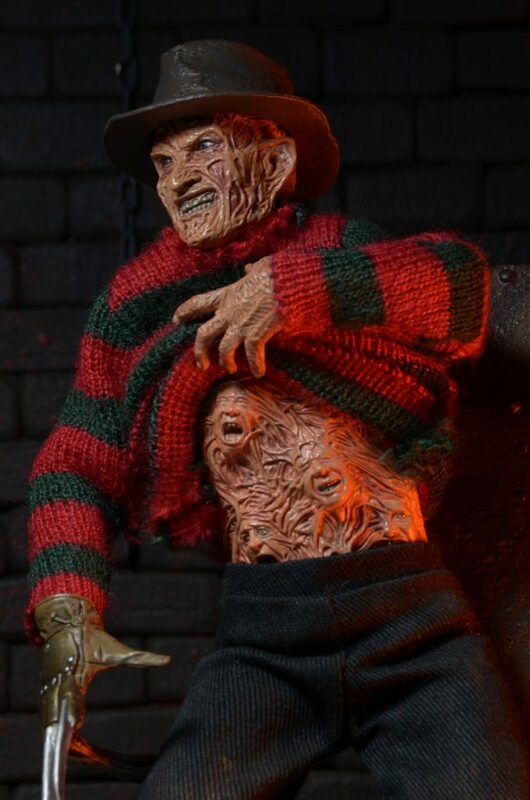 He’s fully poseable and truly terrifying – just lift his sweater to see the tortured spirits trapped in his Chest of Souls!